Having missed the last three games, Kyrie Irving's absence has definitely been a noticeable one as the Boston Celtics have looked like a shell of their former selves (literally and figuratively) over that time. 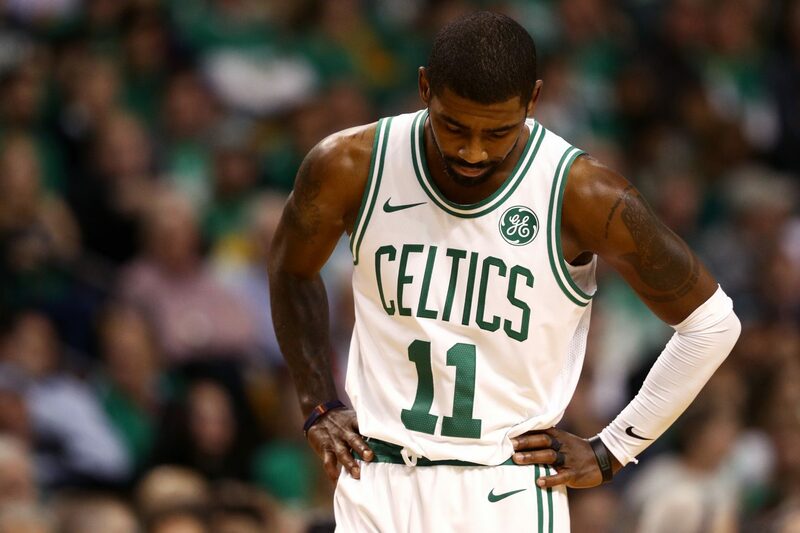 Ruled out during the stretch due to knee soreness, Irving has been managing pain in his leg almost all season long but now it seems this may potentially be a bigger issue than once thought. According to 98.5 The Sports Hub's radio host, Tony Massarotti, Uncle Drew will not only be receiving a second opinion on his lingering knee problem but will also likely need screws removed from the knee as well. My understanding is that Kyrie Irving is getting a 2nd opinion on his left knee, perhaps as soon as tomorrow. Bottom line: he needs the screws out. Knee is flaring up. He will either play thru it going forward or ... he will get thee screws out and won't play at all. Stay tuned. As noted above in Massarotti's tweet, it appears Kyrie most likely will be facing two options going forward - he can either play through the pain (with not much risk for further damage) or he may opt to have the screws removed now which would hold him out of play indefinitely. Stemming from when he fractured his kneecap three years ago in Game 1 of the 2015 NBA Finals, Irving had surgery that following summer to have the screws put in. Obviously since that time, while the bone may have properly healed, the effects of the surgery and, more specifically, the screws still left in, have caused the knee to flare up since. Kyrie unfortunately may not be able to make it on the team's next road trip if he does indeed need further evaluation. Stevens confirms Kyrie Irving will get second opinion on left knee. Unlikely to make next road trip. @TonyMassarotti first. Clearly this isn't the ideal situation for the team to be dealing with going into their playoff run, but the C's have been no stranger to injury problems over the past few weeks. Having lost Marcus Smart (again) for the rest of the regular season with another hand issue, Jaylen Brown still remains in the league's concussion protocol and Daniel Theis won't be returning to action this season either with a torn meniscus. To say it lightly, the 2017-2018 season has boasted a lot of time spent in the infirmary for the Celtics. Gordon Hayward's injury may just have been a foreshadowing of the obstacles to come on the horizon but regardless I still think this year has been a major success for a lot of reasons. Hopefully Irving is able to manage the injury while still playing and this doesn't hamper the team, and his, performance too much down the stretch. For where the team once was this season, it'd be pretty disappointing to see it end on such a sour note. More updates should be expected to come regarding Kyrie's status in the next few days.